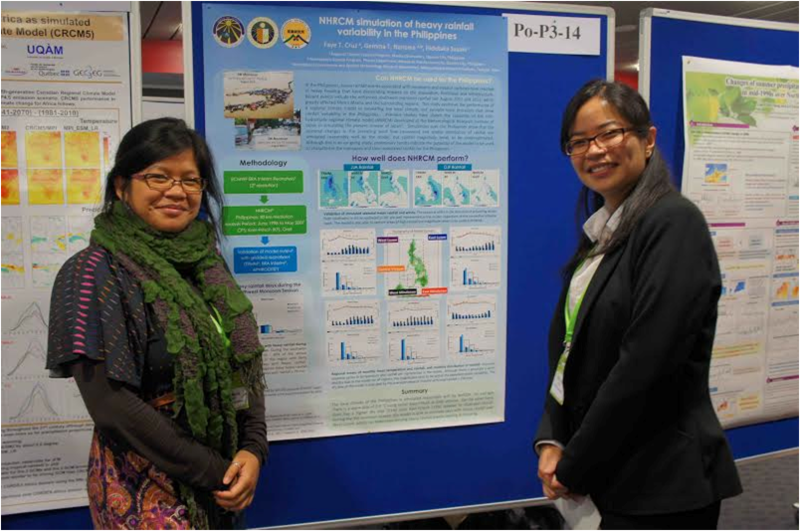 Filipino scientist Dr. Faye Cruz of the Regional Climate Systems Research Program of the Manila Observatory won best poster award at the recent International Conference on Regional Climate (CORDEX 2013) held in Brussels, Belgium. The Intergovernmental Panel on Climate Change (IPCC), the European Commission (EC) and the World Climate Research Programme (WCRP) jointly organized the conference held in November. Over 500 regional climate scientists and stakeholders from 97 countries attended the conference to present current regional climate research activities under the CORDEX initiative. A priority at the conference was to discuss how regional climate information can be best used by decision-makers through high-level stakeholder dialogue. Plenary, parallel and poster presentations facilitated the sharing of recent work on evaluating CORDEX methodologies and applications for regional downscaling. A distinguished review committee evaluated poster submissions from early career scientists and students. Dr. Faye Cruz of the Manila Observatory was recognized for her work, entitled “NHRCM simulation of heavy rainfall variability in the Philippines”. She also received the best poster award on behalf of her co-authors, Dr. Gemma Narisma of the Manila Observatory and Ateneo de Manila University and Dr. Hidetaka Sasaki of the Meteorological Research Institute of Japan. The Manila Observatory is a private, non-profit Jesuit research institution. The Observatory engages in research on regional climate systems, disasters and climate change, geomatics for environment and development, solid earth dynamics, air quality and the upper atmosphere. The institution will celebrate its 150th year of service in the year 2015.